Relax in front of a fireplace at an Odyssey Resort. 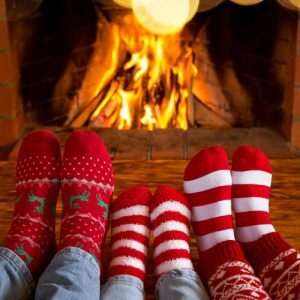 Holiday memories are meant to be cherished, and what better way to make this Christmas stand out than to enjoy the holidays with Odyssey Resorts? The North Shore is the best spot in Minnesota for beautiful, wintery Christmas pictures. Your friends will be so jealous! Deep clean the house, make all the guest beds (or check the air mattresses for leaks), load up on toiletries and spare towels…you get the picture. 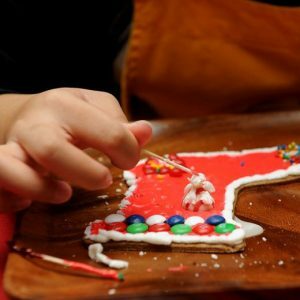 We’re hosting loads of Christmas activities from cookie decorating to visits from Santa! Open your gifts, then head out for a snowshoe hike, scenic drive, alpine or cross-country skiing, or participate in one of the many Christmas activities (like cookie decorating!) going on at each resort. Bring the whole family. Grandma and grandpa, aunts and uncles, cousins…no matter how many people you invite we have ample lodging for every group. Stay Free on Christmas Day! When you stay 3 or more nights over Christmas Day at any of the participating Odyssey Resorts the night of December 25th is our gift to you.